Topic: Sabayon Server on VirtualBox VM? Downloaded SERVER_AMD64_SERVER edition. 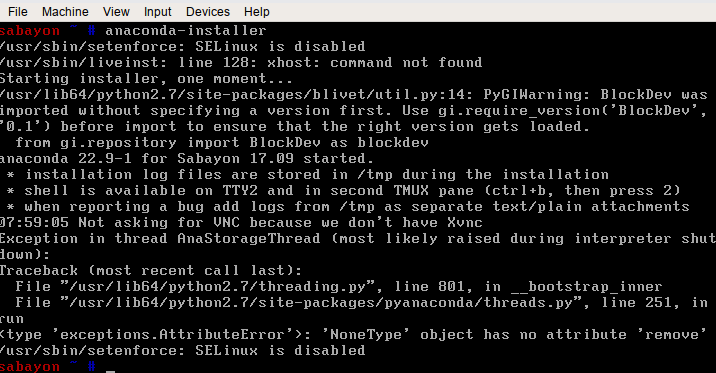 Installer (anaconda-installer) crashes immediately. Tried installing xhost then re-run installer, still no luck. Thanks mate. I thought I was alone.